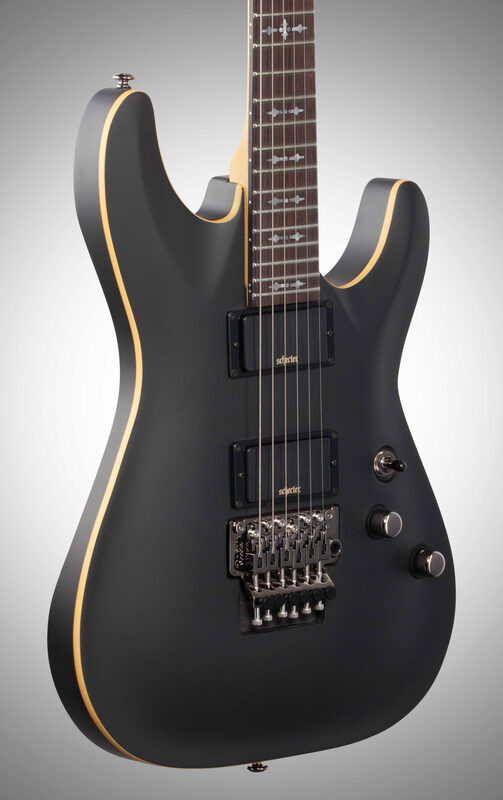 Emerging from the depths of the abyss rises the newest incarnation of the Schecter Demon-6 FR coming forth to unleash fire and brimstone upon the world. The Demon-6 FR comes equipped with the brand new Schecter Diamond Active pickups and is destined to melt the faces off the unbelievers. 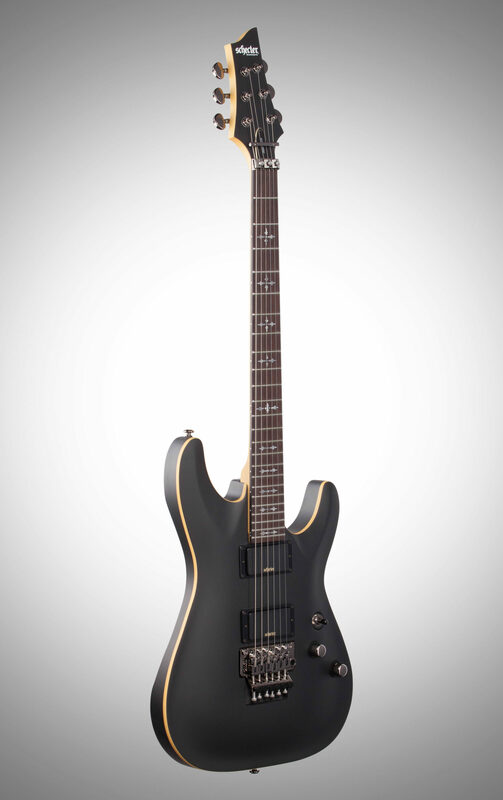 Brandishing a wenge fretboard with 24 extra jumbo frets, a bolt-on maple neck, 14" radius, 25.5" scale length, thin C neck shape, grey pearloid gothic crosses, Floyd Rose Special "hot rod" bridge(Schecter exclusive), Floyd Rose locking nut, and Schecter's famed C body shape, the Demon-6 FR embodies all the aggressive characteristics of a guitar ready to unleash fury. 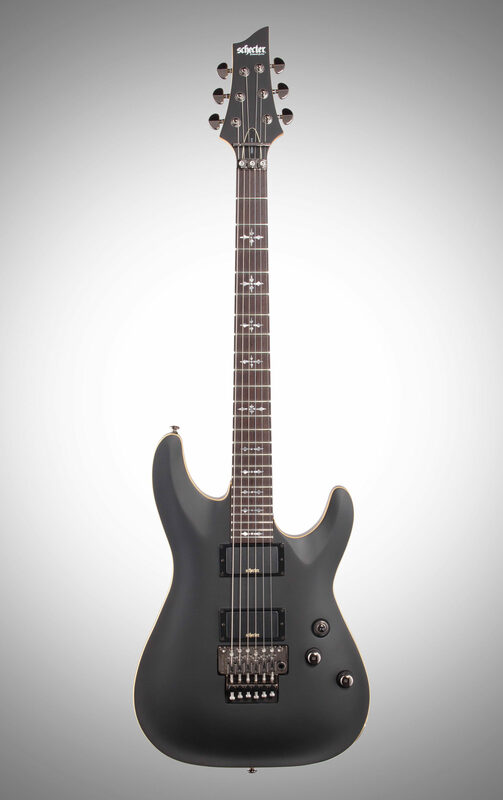 Finished off in an aged black satin color with black chrome appointments, the Schecter Demon rises again. SGR-1C molded case sold separately. - Bridge: Floyd Rose Special "hot rod"
"First time Floyd rose user." Overall: I put off purchasing a Floyd rose guitar for decades. It just wasn’t something I was interested or needed. Fast forward to 2018 and I join a thrash band. Requirement? Floyd rose / whammy bar. I had to jump in the fire and get a guitar that suits the band. 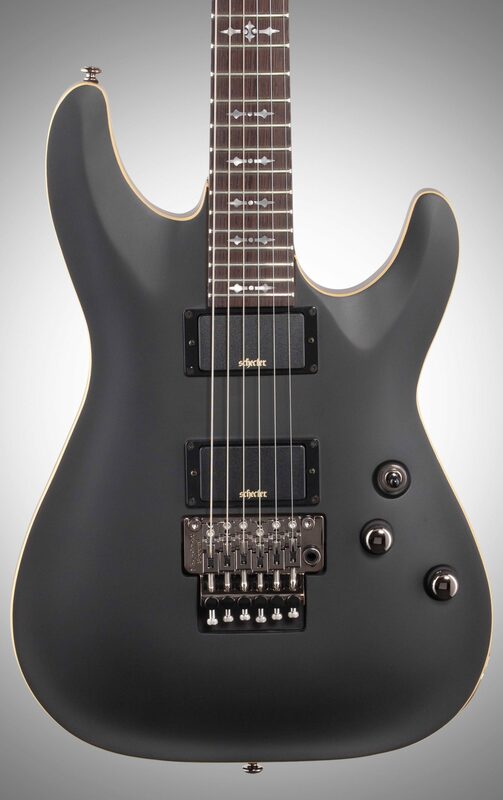 I scoured the internet for weeks, looking for a guitar that would get the job done but not break the budget. I also knew to get something that was an “official” FR. This guitar has a Floyd rose special bridge. I never set one of these guitars up before, but watched numerous YouTube videos. I almost lost my mind the first time I set up this guitsr, but like all Floyd rose style, there is a learning curve. Took a couple hours but I got it to set up perfectly. Guitar isn’t too heavy, but is solid. Has a nice finish. 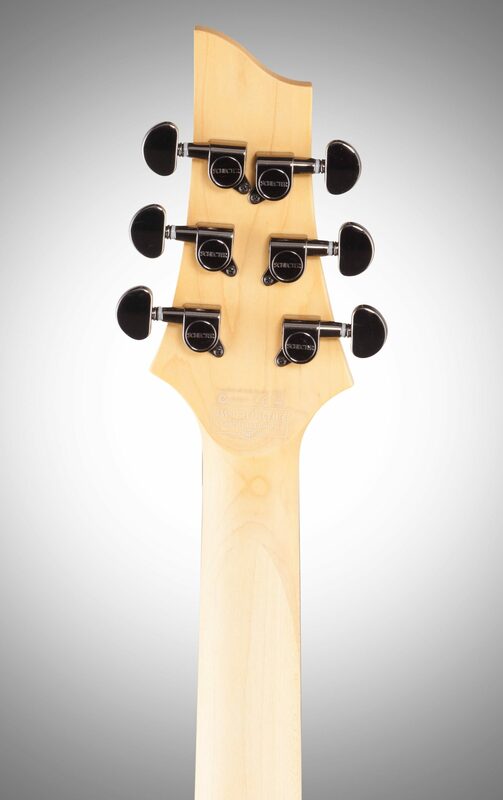 It’s a little “chunky”, but most if not all schecter guitars are. Would have preferred a different body (ie dinky) but the FR style on that guitar company is supposedly a cheaper off set. 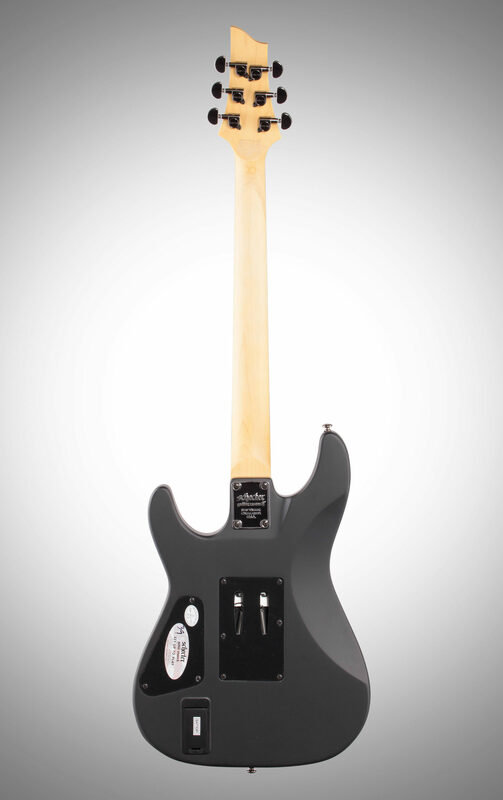 For the price of this guitar with the FR special it was more worth the price. 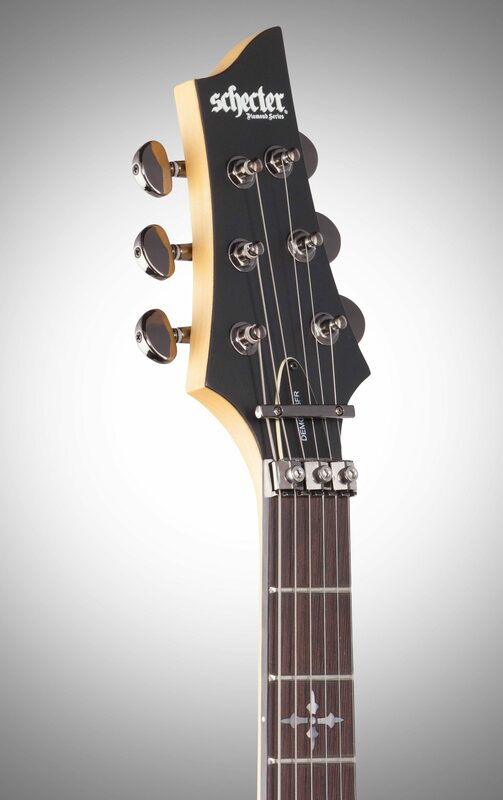 Guitar stays in tune, and has active pickups. 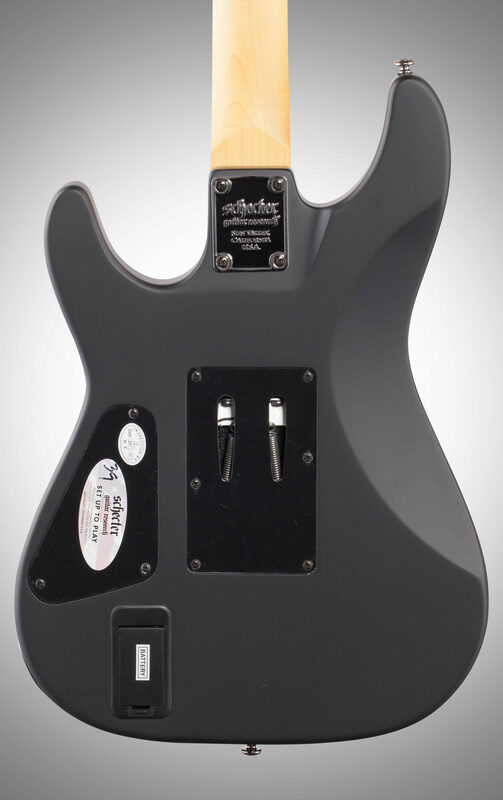 I wanted to start to get away from active pickups, but these pickups are pretty decent for stock, and with the right eq and amp, have a nice sound. In my case I used it through a 5150 / 1960A. Used it on my last recording specifically for solos and dive bombs. May or may not be my main guitar, depending on what we are practicing or songs we are playing. Overall for the price, a good buy.